As part of an agreement on SU student grants made back in 2013, Dansk Folkeparti demanded that the amount of SU paid to foreign students should be reduced. To effect this, after the summer holiday universities were ordered to reduce the number of international students by around 1,000 from the following year. As universities are not allowed to discriminate between Danish and foreign students, the only way to hit this target is to discontinue courses that attract high numbers of foreign students, reports TV2 Nyheder. 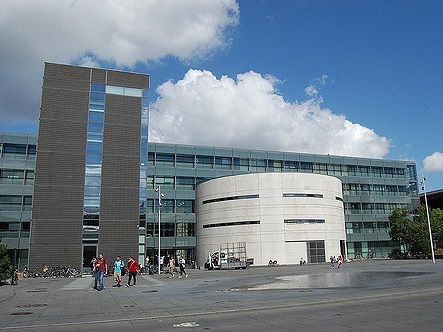 According to Information, Aalborg University is closing nine courses in total, whilst the University of Copenhagen has registered 120 fewer students wishing to take natural sciences this year. Even Copenhagen Business School is having to make cuts, with 400 fewer places available for courses in finance, innovation and leadership. “This hurts – it really does,” said the University of Copenhagen’s associate dean for education, Grete Bertelsen. The university’s natural science faculty is the most international, and the faculty is obliged to make cuts despite the government’s target to see a lot more students taking natural science and technical subjects. The confederation of Danish industry, Dansk Industri, is also against the measure. “The consequence is that we are missing out on talented students, even though we are short of people with these qualifications,” said DI’s head of research and further education, Mette Fjord Sørensen. One of the arguments used for implementing the cuts was that only 33 percent of international students were found to have stayed on to work in Denmark two years after they qualified. Sørensen feels that it would have been better if the universities had been given time to address the problem of retaining international students. Sofie Carsten Nielsen, the education spokesperson for Radikale, would like to see universities more active in this regard. “Politicians bear some responsibility when it comes to residency regulations and to make it easier for people to look for jobs when they’ve completed a Danish educational course,” she said. “But it is also the responsibility of the educational establishments to create an attractive environment where people feel welcome and where they can establish connections with companies when it comes to looking for jobs afterwards,” Nielsen added. Cut our SU, not the quality!